Academic leaders at the University of Leicester have hailed the Government’s announcement of multi-million pound investment in space science and Earth observation technologies – following a bid led by the University of Leicester together with the City and the LLEP – as launching Leicester as an important UK Space City and addressing key elements of the Government’s Industrial Strategy. Leicester already houses the National Space Centre, the Millennium Commission-funded project that was the brainchild of the University of Leicester. Now the Government has announced funding to kick start the development of the National Space Park next to the National Space Centre. This is a project spearheaded by the partnerships between the University of Leicester, Leicester City Council, Leicester and Leicestershire Enterprise Zone (LLEP) and the National Space Centre. This follows the announcement last month of Enterprise Zone status at sites in Loughborough and Leicester. At Leicester Waterside, the enterprise zone provides a focus on space and space enabled technologies: The National Space Park is an ambitious project of global significance that is backed by national and regional authorities recognising the strategic importance of science, high-tech manufacturing, and space-enabled industry to UK growth. Access to, and analysis of space-enabled data, including ‘Big Data’, the ability to ‘combine vast sets of data in new ways to create new linkages, patterns and ultimately new knowledge […to] address the major challenges facing society including food security, climate change, pollution and biodiversity loss.’ (UK National Space Policy, 2015). Today, space is regarded as critical to delivering on ambitions for UK Plc. From scientific understanding to rebuilding the Midlands manufactories with a new high-tech focus, space-enabled research, to the strategic importance of the work that space research delivers for vital services including communications, disaster relief and transport, we recognise the importance of space for our economy as never before. Skills for UK industry in the form of education and training for the space and related high technology sectors, including traditional University undergraduate and postgraduate courses, but also provision of apprenticeships, and continuing professional development. 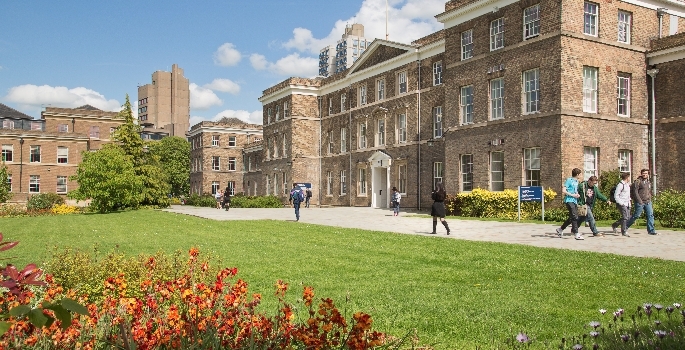 Professor Paul Boyle, President & Vice-Chancellor of the University of Leicester said: “It’s great to hear that the government is again backing Leicestershire’s success by investing in our world-class research and development clusters. “From the life sciences to R&D supporting investment in energy, space and satellite technologies, Leicestershire is emerging at the forefront of UK research. The National Space Park is going to have a huge impact on the city and region – and it will be nationally important. “Our new project, with a working title of National Space Park, will be a true game changer. It will help us deliver against at least three of the challenges that Government has articulated in their Industrial and Midlands Engine strategies. “First, drawing on our expertise in space engineering, we will be able to focus on lowering the cost of access to space for satellite systems and improve their instrumentation and potential. “Second, we will better harness earth observation and other space enabled data for our own challenges here on own our planet, such as supply chain resilience, air quality and of course managing the traffic! The National Space Park builds on the University of Leicester’s 50-year-plus record of delivering the science and engineering which has enabled exploration of space to Jupiter and beyond. Working with commercial and research partners, the University will push satellite development and space-enabled data sciences further; opening up new possibilities in global satellite imaging and detection.